So basically, the Thela word is a misnomer here. 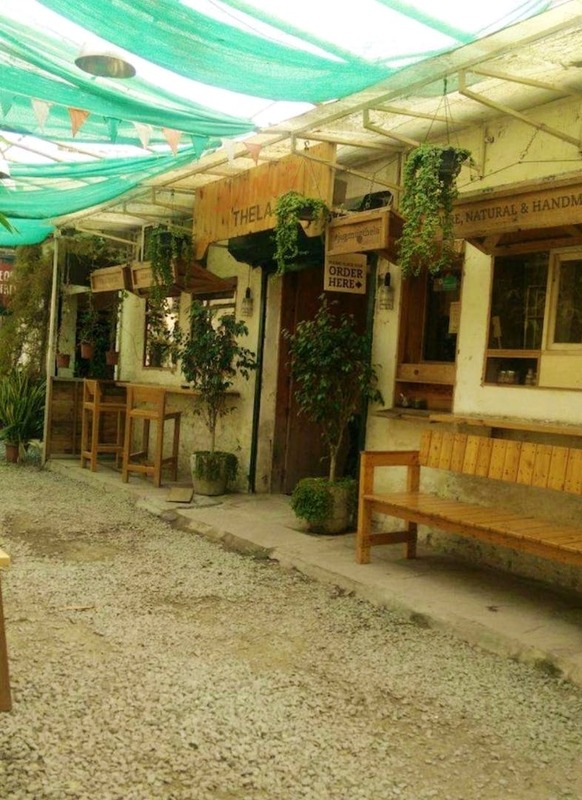 Jugmug Thela is a cool and calm place located in one of the streets around the Westand Marg in Saket. The place is a little difficult to find but the effort is totally worth it. The menu is limited and consists of sandwiches, toasts, munchies, tea and coffee. But mostly everything on the menu is delicious. I tried the veg club sandwich which was delicious and filling. Their Vietnamese coffee was amazing, just as bittersweet and cold as I wanted. They have special ice tea like the seabuckthorn berry which tastes very different and worth trying. And to top it off, the chocolate vanilla marble cake we ordered was soft and moist. They also have stuff you can buy and some local stores in the vicinity are great for some shopping too. Overall, one of the few places in this busy city where you can sit in peace and enjoy good food with drinks.